This w/s can be used to introduce SS to English money and words associated with money. 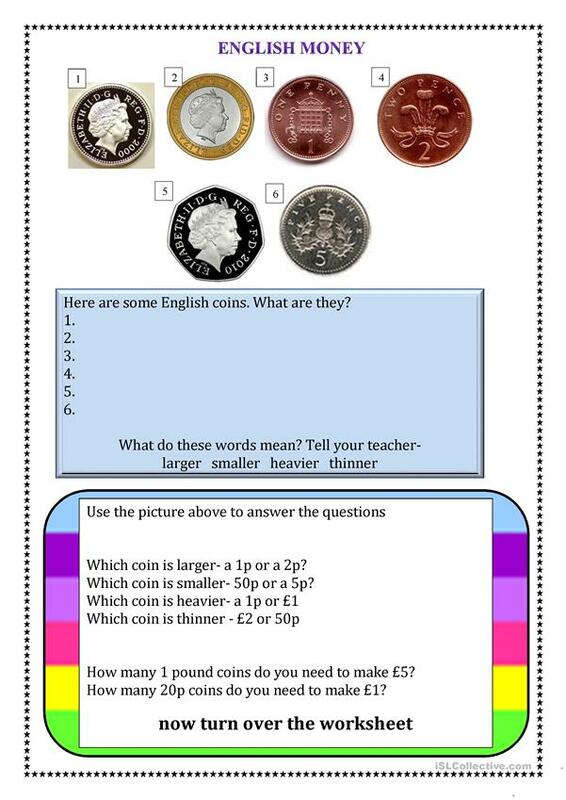 Please feel free to use alongside my PowerPoint on English Money. 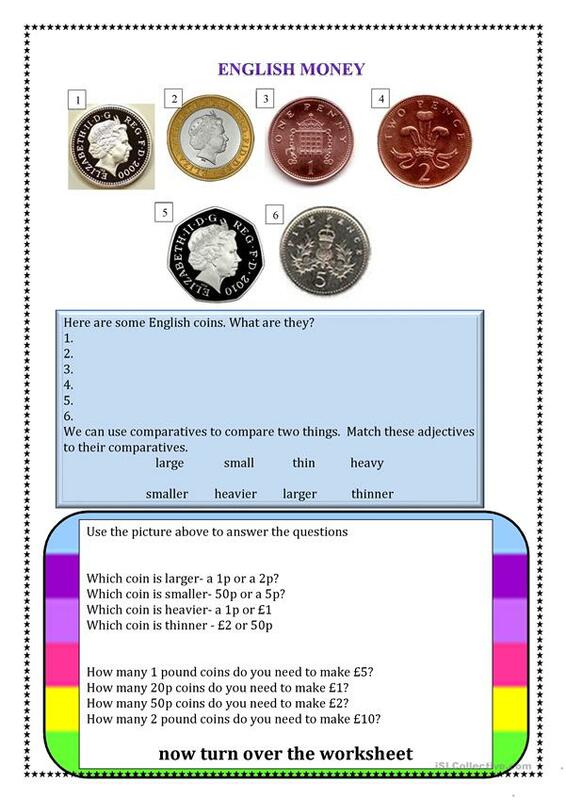 I have also used this w/s to do work on comparatives. The present downloadable worksheet is a great resource for high school students and adults at Beginner (pre-A1) level. 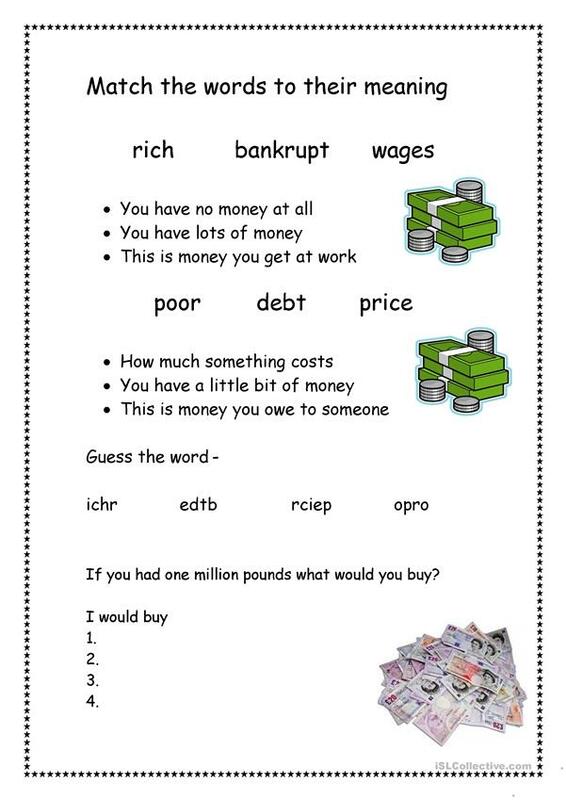 It is excellent for working on your pupils' Reading and Writing skills. 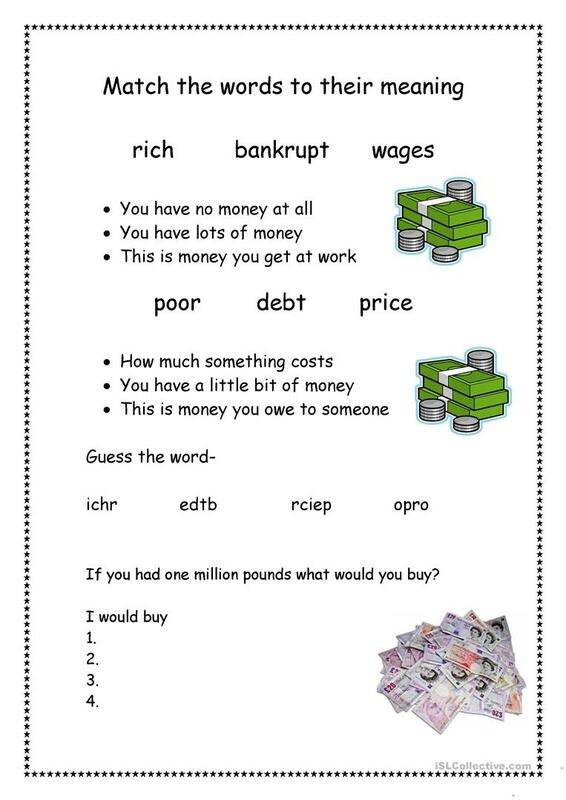 It is about the theme of Money.